Am I having a breakdown? Do I have a mental health condition? Whilst there are medical and biological reasons that people can feel this way, it may be that what is happening is a process of Spiritual Emergency or Spiritual Crisis. Spiritual Emergence is a natural process of human growth and transformation characterised by increased awareness, greater sensitivity and richer connection to others and the surrounding world. These experiences may seem unusual and challenging either to the experiencer or to those around them as they can seem outside of everyday reality. It is common to become more concerned with social, economic, health, and ecological issues and the bigger questions in life such as purpose, meaning and values. 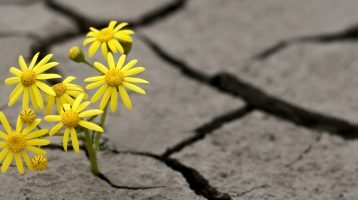 What is the difference between Spiritual Emergence and Emergency? When Spiritual Emergence happens too suddenly, intensely or before the person is psychologically and emotionally ready, this can be very stressful and overwhelming. The experincer may then feel they are unable to cope with what they are going through. Spiritual emergency may occur spontaneously or be triggered by challenging life events, the use of psychoactive substances or by the pursuit of spiritual practices. When Spiritual Emergence becomes overwhelming it is likely to be considered a Spiritual Emergency, also known as Spiritual Crisis. Learn more about the possible Signs of Spiritual Emergence and Emergency. What can I do about Spiritual Emergency? This website includes a number of Resources For Experiencers that have been found to be helpful and the details of national SENs which can be contacted for local information in other languages. The mental health profession is slowly becoming more aware of the need to include a spiritual perspective in helping people suffering from psychological or emotional distress. Some well informed alternative practitioners and healers also offer various methods for working with the process of Spiritual Emergency. With appropriate support, people can work through their spiritual emergency and can then integrate their experiences. They are more able to create a meaningful life for themselves and function at a higher level than before their crisis.